1, Before use, check the unit to see if there is some damage during the transportation, of if the joint connection is loose. If everything be ok, then start to use. 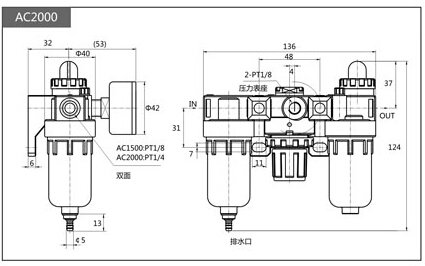 5, When use the regulator or filter and lubricator, firstly, we need to adjust the hand wheel to the zero position. 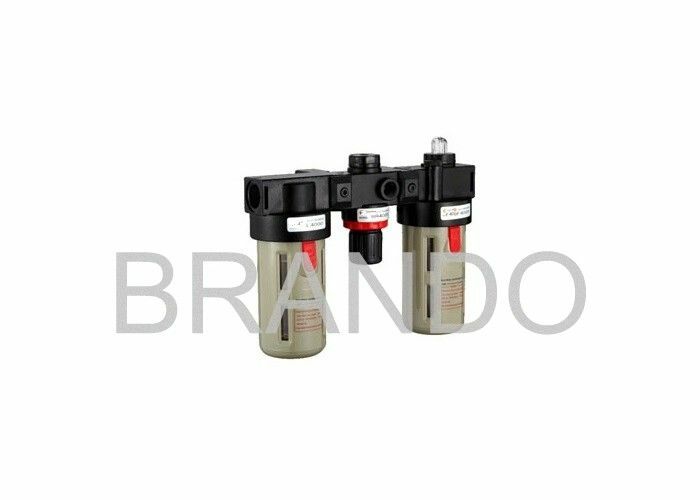 6, When using the lubricator, we need to adjust the oil valve needle to the zero positon and add oil to the oil level line first. Then adjust to a proper position when compressed air in. 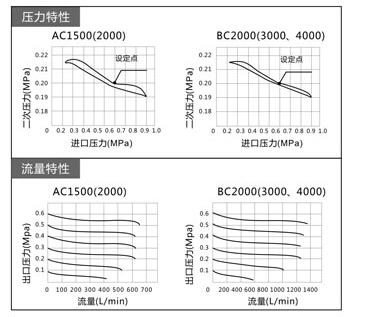 Pay attention to the brand and grade of the lubricating oil. Never use spindle oil and lubricating oil containing lower ketone or aromatic hydrocabon. We also have other kinds of R.F.L, weclome your any question, we will reply at once. 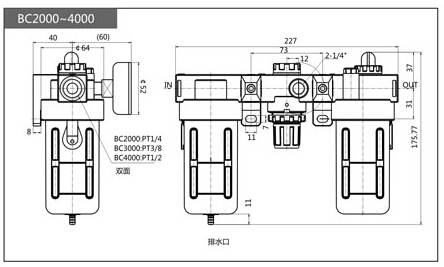 Port Size: 1/8", 1/4", 3/8", 1/2"
Port Size: 1/8", 1/4", 3/8", 1/2", 3/4", 1"